Therefore, Icons are not drawings or creations of imagination. Theyare in fact writings of things not of this world. Icons can represent our Lord Jesus Christ, the Virgin Mary, and the Saints. They can also represent the Holy Trinity, Angels, the Heavenly hosts, and even events. Orthodox icons, unlike Western pictures, change the perspective and form of the image so that it is not naturalistic. This is done so that we can look beyond appearances of the world, and instead look to the spiritual truth of the holy person or event. Icons can only be created with the blessing of the Church, as they are writings of Truth. The Orthodox Church uses icons to assist in worship. Icons are a 'window to heaven' and they help us to focus on the divine things. 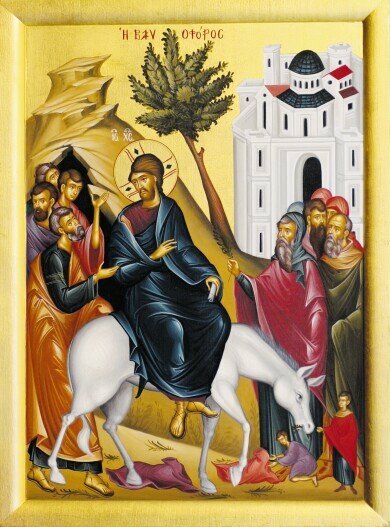 While the icons still contain material aspects, like paint and colour, we are taught not to reject our physical life but instead to transform it, as was done by the holy people represented by the icons. It is important to note that the icons themselves are venerated only, not worshipped; we only worship God in the Holy Trinity (Father, Son, and Holy Spirit).